Thompson had started the day in the bronze medal position - but as the only sailor who could realistically challenge Cypriot Pavlos Kontides for silver, a match race ensued as Kontides looked to protect his position and the British Rio representative was squeezed to the back of the fleet. Chiavarini sailed to fifth place in the race, edging Thompson, who finished ninth in the medal race, out of the podium spots by just one point. "It was a pretty challenging event - shifty all the time," Chiavarini explained. "To have average scores and come third in the whole event was fantastic. It was a high scoring event, but my downwind speed always took me back to where i needed to be and kept me in contention." "The medal race was quite a challenging one," continued the 23-year-old. "I got myself to third and then had a small error, not knowing that there had been a change of course. 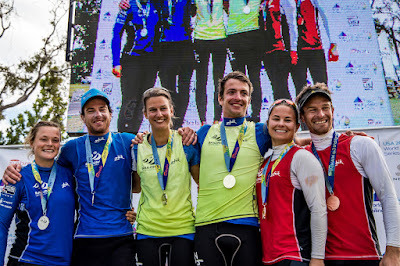 I thought it was all over, but again my downwind speed got me the places I needed at the very end to get the last point on Nick.To come home with a medal is a pretty fantastic feeling!" "It was a very high-scoring event, but I enjoyed my first event back," said Thompson, who'd not sailed his Laser since the Rio Games. 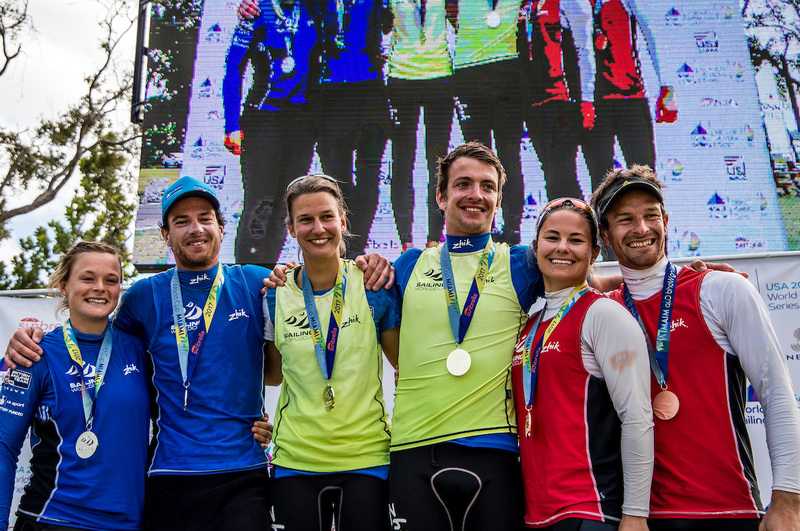 "It was a really interesting medal race. I was in that awkward position of being one of those guys who could almost beat second place so I ended up having a match race with Pavlos. I did a reasonable job in the pre-start and the first beat, and then just couldn't quite get away for the second lap. So I slipped down, but it's good to see Lorenzo take the third." Michael Beckett also contested the medal race, finishing sixth in the race and ninth overall. Cornish was tenth after the first lap and looking out of the medal positions altogether before a second lap comeback saw him reel in and then overtake key rival Anders Pedersen of Norway to reclaim his silver medal position. 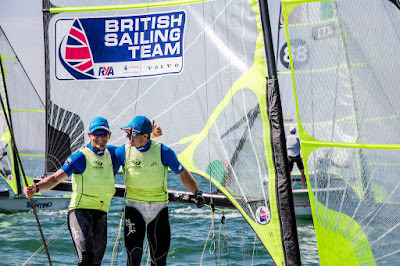 Cornish finished seventh in the medal race to Pedersen's eighth, with fellow British contender Henry Wetherell crossing sixth to end his event in sixth place overall. "It's been a good week. I finished up second and had a reasonably consistent series and not a bad medal race to end the week," Cornish reflected. "There's been a real mix of conditions with not really any straightforward days. There's been some difficult positioning, tactical racing and quite a small fleet which always makes it important to be fast." The two teams had been effectively level heading into the final race, but with the points close between four boats they could also have ended up out of the medal spots altogether. The British pairing had a good start and first leg, but the Dutch crew just got in front at the windward mark. Weguelin-McIntyre clawed back on the second upwind leg and had gold within their sights on the final downwind but for a small error which allowed the Dutch pair back through in the shifty conditions, and the British duo had to settle for silver. "It was a tough race," said 22-year-old McIntyre. "We just made a small error at the leeward mark and meant we got silver, which is still really good, and we've learnt loads this week to take forward." "We let the one boat that we needed to control get a little bit of leverage over us into the first mark, which ultimately put us on the back foot," Weguelin explained. "We gained back from there with quite a nice downwind and a good upwind to get back in control again, but we missed a gybe at the leeward gate and ultimately ended up second. "We should have gybed away and come back to get an overlap at the leeward gate. So it was a big learning opportunity for us and something to take forward to our future racing." 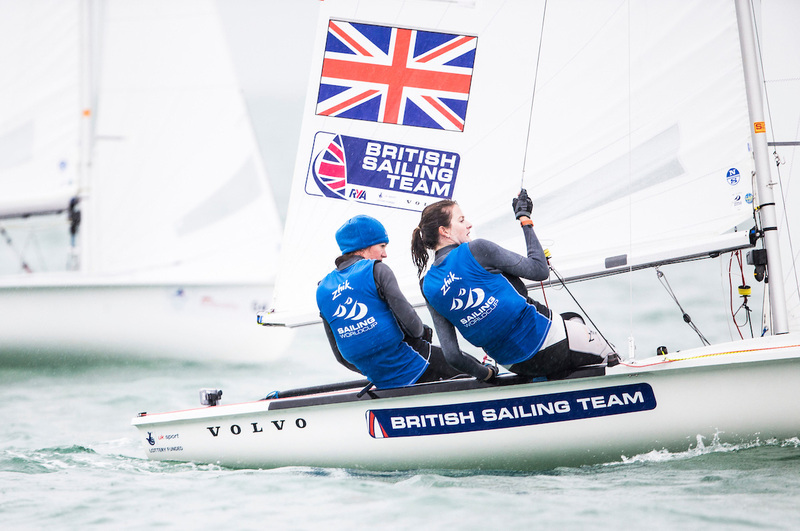 Fellow British Sailing Team crews Amy Seabright-Anna Carpenter and Jess Lavery-Flora Stewart also qualified for the medal race. They finished eighth and ninth in the race, and sixth and ninth overall. "Miami has provided a challenging first international World Cup regatta of 2017," said RYA Olympic Manager Stephen Park. "The race committees have done a good job to get the full series of races in, despite some light and changeable conditions through the course of the week. Other than the final medal race day on Sunday where the rain and fog came in and made it a little bit less Miami-like, Miami itself has put on a fantastic show and has been a great venue for some great racing. 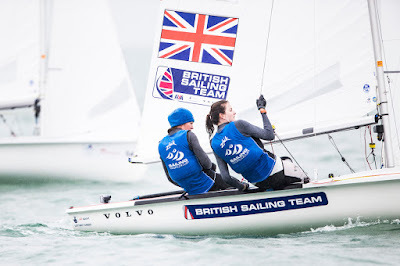 "From a British perspective, it's been great to see sailors fighting it out at the front of the fleet - particularly some of our up and coming sailors who've been doing especially well and have challenged for the podium through the course of this regatta. "Hopefully that bodes well as we move into this new Tokyo 2020 cycle."